Yang Yuanqing is Chief Executive Officer and an executive director of the Company. He was appointed as the Chairman of the Board on November 3, 2011. He is also a director and a shareholder of Sureinvest Holdings Limited which holds interests in the issued share capital of the Company. Mr. Yang holds a Master’s degree from the Department of Computer Science at the University of Science and Technology of China. Mr. Yang is also a guest professor at the University of Science and Technology of China and a member of the New York Stock Exchange’s International Advisory Committee. 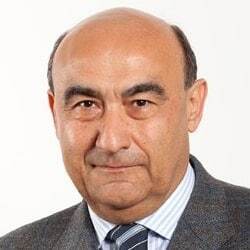 Gianfranco Lanci joined the Group in April 2012 and is currently Corporate President and Chief Operating Officer, responsible for running Lenovo’s Intelligent Devices Business Group. Prior to this, he ran Lenovo’s combined PC and Enterprise business groups. 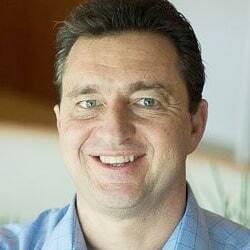 Before that, he was Executive Vice President and Chief Operating Officer, responsible for running Lenovo's global PC business as well as for Lenovo's EMEA region and the Asia Pacific markets of Australia, Japan and New Zealand. Prior to that, he was Senior Vice President of the Company and President of the EMEA geography. Mr Lanci has over 30 years experience across the PC business, including leadership roles at Texas Instruments and Acer. He was appointed as President of Acer Inc. in 2005 and in 2008 became Chief Executive Officer and President. Under his leadership he led Acer to the #2 position globally and #1 in EMEA whilst recording record profitability for three consecutive years. Mr. Lanci holds a degree in engineering from the Politecnico of Turin. Mr. Wong Wai Ming is Executive Vice President of the Company and Chief Financial Officer. He was previously an investment banker for more than 15 years and also held senior management position in listed companies in Hong Kong. He was an independent non-executive director of the Company from March 30, 1999 until his appointment to the position of CFO on May 23, 2007. Mr. Wong is a member of the Hong Kong Institute of Certified Public Accountants and the Institute of Chartered Accountants in England and Wales and holds a Bachelor's degree in Management Sciences from the Victoria University of Manchester, U.K.
Sergio is Senior Vice President and Co-President of Lenovo’s Mobile Business Group, co-leading Lenovo’s mobile business, including R&D, product, supply chain and the Asia Pacific, North America, Latin America and EMEA Geos. Under Sergio’s leadership, the company has seen significant market growth in Brazil, Chile, Mexico, Argentina, Colombia and Peru. Among his previous roles, Sergio led the Mobile Devices business for Latin America, and spent two years in Mexico City as the regional sales director for Americas Movil. Before that, he spent three years in the U.S. leading the Strategic Planning and Companion Products businesses for the Americas region. Sergio previously held leadership positions at IBM and BoozAllen & Hamilton. He holds an MBA from the University of Chicago, a postgraduate degree from the Fundação Getúlio Vargas (FGV) and bachelor’s in Engineering from the University of São Paulo’s Escola Politécnica. 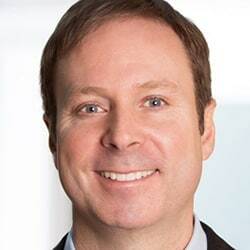 Kirk Skaugen joined Lenovo in 2016 as Executive Vice President and President of the Data Center Group, overseeing all aspects of Lenovo’s end-to-end data center business worldwide. An industry veteran, Mr. Skaugen spent 24 years at Intel where he held a variety of leadership positions. Most recently he was Senior Vice President and General Manager of Intel’s Client Computing Group, where he oversaw chipsets for PC, tablet, smartphone, and phablet platforms, along with new Ultrabook and 2-in-1 devices. Before this role, he led Intel’s Datacenter and Connected Systems and Data Center groups. Mr. Skaugen holds a bachelor of science in electrical engineering from Purdue University. 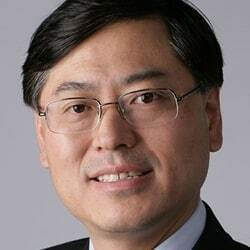 Rui Yong joined Lenovo in November 2016 as Senior Vice President and Chief Technology Officer of the Company, and oversees Lenovo’s corporate technical strategy, research and development directions, as well as Lenovo Research, one of the company’s most important innovation engines. Lenovo Research currently focuses on intelligent devices, artificial intelligence, cloud computing, 5G and smart lifestyle innovation and incubation technologies. Before joining Lenovo, Mr. Rui had an 18-year career with Microsoft, where he held various leadership roles in R&D strategy, basic research, technology incubation, and product development, and shipped multiple products including Microsoft Office, Bing, Hololens and Cognitive Services. 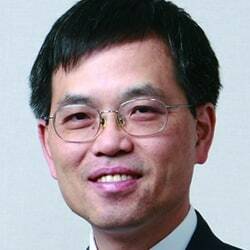 Mr. Rui is a world-class technologist in computer science, and a Fellow of the ACM, IEEE, IAPR, and SPIE. He received his BS from Southeast University, his MS from Tsinghua University, and his PhD from the University of Illinois at Urbana-Champaign (UIUC). Gao Lan joined Lenovo in 2009 and is now Senior Vice President of Human Resources, responsible for human resources, organizational development, global talent, compensation and benefits, as well as nurturing the company's culture. Prior to this, Lan held several Vice President roles leading many teams, including Emerging Markets Group HR Partner, APLA & China HR Partner, People & Organization Capability, and HR Strategy & Operations. She was also responsible for the successful HR operations integration for the IBM x86 server and Motorola acquisitions. Ms. Gao has provided strategic HR support to the business, led organization design and restructuring projects, initiated talent development programs, organized and delivered global leadership development programs, and led the culture and HR operations integration for the IBM x86 server and Motorola acquisitions. 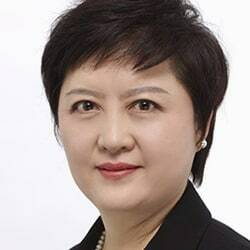 Before joining Lenovo, Lan was the Vice President of Human Resources for Thomson’s Asia Pacific region, Vice President of Human Resources for Asia Gas in BP, and was Country Head of Human Resources for Novartis China and Hong Kong. Lan holds a Bachelor Degree of Science from Nankai University in China. 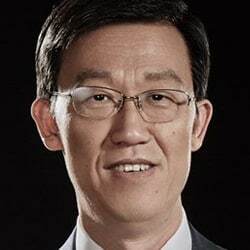 George He joined the Group in 1986 and is the Senior Vice President of the Company, Lenovo Capital and Incubator Group. Prior to that role he was President of the Ecosystem and Cloud Business Group, where he oversaw Lenovo's work to expand its fast growing Ecosystem business, as well as to drive innovation in software for Cloud based applications. Previously, Mr. He served as Chief Technology Officer with responsibility for technology strategy, R&D systems and technology exploration of emerging areas. Prior to that, Mr. 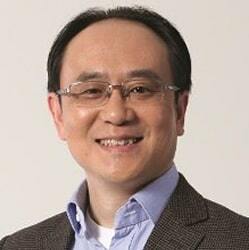 He held various leadership positions in Lenovo particularly in overseeing Lenovo's R&D initiatives and systems. Mr. He holds a Bachelor's degree in Computer Communication from Beijing University of Posts and Telecommunications and a Master's degree in Computer Engineering from the Institute of Computing Technology of the Chinese Academy of Sciences. As the Chief Information Officer for Lenovo Group, Arthur Hu is responsible for the overall delivery of information services, digital technology, and business transformation. Mr. Hu works with the business units to drive business model transformation for more competitive capabilities, and oversees a portfolio of strategic initiatives to further strengthen IT management and business collaboration. Previously, he held a series of leadership positions within the Lenovo CIO team covering IT Strategy, Information Security, Enterprise Architecture and Business Transformation, and Digital Go-to-Market Solutions Delivery. 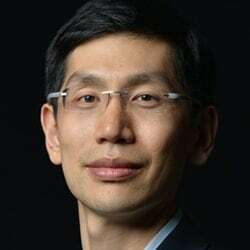 Prior to joining Lenovo in 2009, Mr. Hu was with McKinsey & Company, where he focused on high tech, strategy and technology management, and operational and strategic programs to deliver transformation impact across global organizations. Before that, he worked in software engineering at a variety of companies, including Amazon. Mr. Hu holds both a Bachelors and Masters Degree of Science in Computer Science from Stanford University. A sports enthusiast, he enjoys tennis, basketball, and rollerblading. 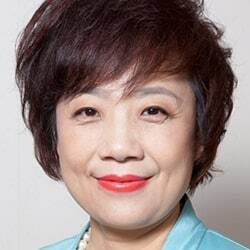 Gina Qiao joined the Group in 1990 and is Senior Vice President and Chief Marketing Officer, responsible for driving all marketing activities for Lenovo. Prior to this role, Ms. Qiao was Senior Vice President and Co-President of Lenovo’s Mobile Business in China, the world’s largest mobile market. She also led Human Resources, where she was responsible for human resources, organizational development, global talent, compensation and benefits, as well as nurturing the company's culture. Before this position, Ms. Qiao held various senior positions in the Group including Senior Vice President of Strategy and Planning and Vice President of Human Resources in China–both before and after the acquisition of IBM's PC Division. Ms. Qiao has extensive experience in human resources, strategy, marketing and branding. She holds a Bachelor's degree in management science from Fudan University, as well as an EMBA from China Europe International Business School. 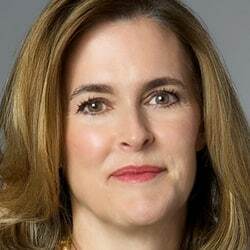 Laura Quatela, Senior Vice President and Chief Legal Officer, joined the company in 2016 and is responsible for Lenovo’s overall legal strategy. Before Lenovo, Ms. Quatela co-founded a global consulting firm in 2014 to help clients leverage intellectual property assets and organizations, and make more informed technology investment decisions. Among her roles, Laura served as executive vice president of intellectual property for Alcatel-Lucent SA, reporting to the CEO, and was responsible for leading the company’s efforts to monetize its patent portfolio. Previously, Laura was President of Eastman Kodak, where she held various leadership positions. In 2004, she oversaw the licensing of the company’s technology and patents, which generated more than $4 billion dollars. In 2008, she became Kodak’s first Chief Intellectual Property Officer, a role she retained when named the company’s General Counsel in 2011. She also served as co-COO in 2012. Currently, Ms. Quatela also serves on the board of directors of Technicolor SA, where she chairs the strategy committee.